Read this article to find out all you need to know about the best online casinos in Malaysia in 2019. On the heals of our articles about the gambling in Bahrain and online Casinos in UAE, today we look at how things are for online casinos in Malaysia. Are you looking for a Casino website that accepts a wide variety of payment methods and lets you play high-quality online Casino games for real money? Well - you are in luck. Malaysia isn't the UAE. The country doesn't have the same strict gambling laws as the Emirates and Bahrain, and there are a number of trusted online Casinos that will give you exactly the gambling experience you look for. Licensed gambling in Malaysia is legal and so are some of the game platforms that offer Casino Slot games to players in the country. Traveling throughout Malaysia you can find some of the most impressive Casinos in the world. Take the spectacular Resorts World Genting, for example. You only need one-hour drive from Kuala Lumpur to discover one of the main tourist attractions in Malaysia that should be in the bucket list of every gambler. Online gambling in Malaysia is doing pretty fine too as the laws don't really define it. To sum up, you can play online Casino games in Malaysia - unless your religious beliefs state otherwise. On this article, you find a list of the best online Casino sites in Malaysia so that you can enjoy a Slot game or two. All these online gaming platforms offer a top-of-the-class online gaming experience after you complete the login, plus exclusive promotions to the players who come from CasinoSmash. They all have a professional customer support service, they are trusted online gambling operators, and have very strict policies to help with responsible gaming. Discover the best of online gambling in Malaysia: pick one of these trusted online Casinos, register a free account, and play! Although people in Malaysia - like many others in the South-East of Asia - enjoy gambling, there aren't a lot of brick-and-mortar Casinos to visit in the country. That place is not for everyone's pockets. That's not even mentioning religious issues. If you're Muslim, you are not allowed to enter the casinos anyway1. And you should never forget that the 2010 Census found out that 61.3% of the Malaysian population is indeed Muslim2. 60%+ of the people in Malaysia can't gamble because their religion forbid them to do so. A better option to play Casino games in Malaysia are online Casinos. In 2019. there are no Malaysian online Casinos that we would consider to be legal in the same way we do in the United Kingdom or any of the other European countries where the online gambling industry is regulated through a system of state-issued licenses. If you want to play real money games from the country, you need to play on international trusted online Casinos that accept players from Malaysia. Like the ones you find on this page. To help you find the best sites to play Casino Slot games and all the best live Casino games you can find online, we prepared a list of the best online Casinos in Malaysia in 2019. 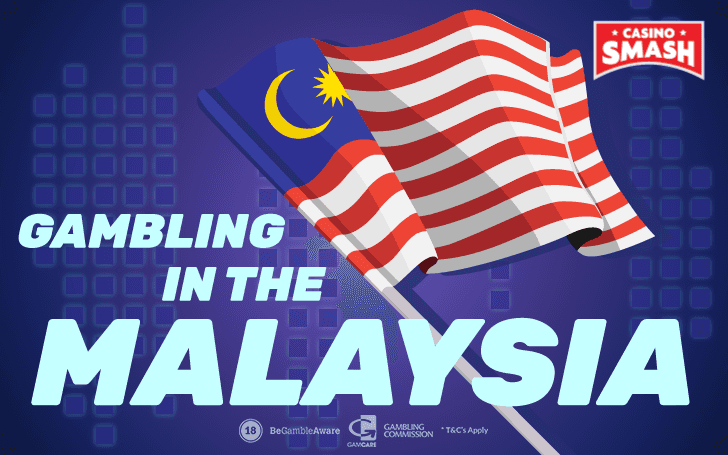 The Malaysian government is not too happy about the online Casinos that offer games to players in Malaysia in 2019 and hold a license issued by a foreign country or gambling authority3. Yet, however, they don't really do much to stop it either5 - meaning you get the chance to try some of the bets online betting sites and online Casinos with not a great deal of limitations. However, that might change soon. The best online Casinos in Malaysia included in the list above are licensed abroad as the government of Malaysia does not have any programs or any specific bodies entitled to regulate online Casino sites available to the players in the country. And yes, they accept the players from Malaysia. And that's not the only advantage of these online casinos. The exclusive online Casinos promotions like the welcome bonus you get every time you sign up at an online Casino in Malaysia are what make online gambling truly special. Try going to the Genting Resort to ask for some free spins on a Slot game. Or, even better: approach cashier and ask them to double your bankroll so you can play a live Casino game. People will think you're crazy. Best case scenario: you will get a free drink. Enjoy it until it lasts. When you play the best online casinos you get a welcome Bonus as soon as you sign up. Not a drink. Not a stare. A casino bonus in Malaysia that gives you free credits to play the games you like - online Slots included. Some of the most desired Casino promos are the free credit no deposit bonuses. This form of welcome bonus lets you try out online Casinos and their games risk-free. You don't need to deposit any money to play nor you need to use your credit card anywhere. You just register an account and use the bonus to play. Most of the times, you need to register using special codes or links - meaning these types of welcome bonus promotions are a part of larger deals negotiated by other people with the Casino operators. When you register at 888Casino through CasinoSmash, you receive a special bonus with free credits to play Casino games. This exclusive Casino bonus is only available through our website. If you go directly to the website, you won't see this offer. This happens because we have negotiated it for you and it's a part of a larger deal that includes all the players in the world - not only those who play real money Casino games in Malaysia! Another bonus that can lead luck your way is a free credit welcome bonus on signup. You sign up for a Casino account and you get free money to play with. Just like in the previous example - you sign up, request the bonus, and it's (free) game on. This bonus is usually exclusive to new players / new registrations - so you can claim it only once per operator. Another common welcome bonus available to Malaysia Casino players is the deposit bonus. In 2019, this can be your shortcut to a lot of free money to play online Slots, Casino classics, and live Casino games. To activate this bonus, you need to sign up and deposit real money into your newly registered online gaming account. It's not that big of a deal though, as you're the one who chooses how much to deposit - and deposits starts from as little as $5. Which is enough for a nice and quick gaming experience. Most casinos give you a 100% deposit match bonus. Thus, if you deposit $5, you get $10 to play with. But not all online Casinos for players in Malaysia want to be like "most Casinos". That's when HUGE 400% deposit bonuses come to play. That's correct. In 2019 there's a Casino in Malaysia where you can add up to €1,000 to your bankroll thanks to a massive (and very generous) 400% match welcome bonus on your deposit. Scroll back up to the lust of the top online Casinos in Malaysia and look for those that quadruple your deposit, instantly. Free sign up bonuses can have their own forms as well. At some online Casinos these can be the same no deposit bonus I told you about earlier. Another option that is becoming more and more common in the online gambling industry is the free spins welcome bonus. You sign up and get a specific number of free spins to play online Slots. Sometimes you can use the free spins only on a limited number of selected Slots (or for a predefined period of time), so you need to read the terms and conditions of the promotion before you claim the bonus. Of course, the best free spins offers are those that don't have any wagering requirements. And the best online Casinos in Malaysia figured it out long time ago. Take BGO Casino, for example: once you sign up to play there and make one deposit, you get up to 50 free spins with no wagering requirements and no cap for winnings. Another huge advantage of online Casinos is the possibility to play live games. An actual roulette wheel is spinning. A real dealer is shuffling your cards. Even when you play at your own home. How? The answer are the live Casinos online. These games let you to play your favorite games with a real dealer and interact with other players from anywhere in the world. How can you play live Casino online in Malaysia? Once again, foreign Casinos that accept players from Malaysia have you covered. In 2019, all the classic Casino games are available as live Casino games. Sometimes you can find more live dealers online than at your local casino. Even if your local casino is the infamous and expensive Genting Resorts. 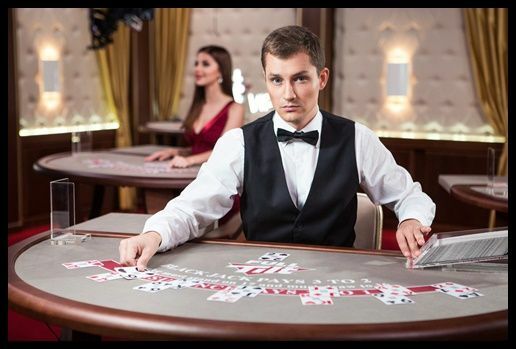 You can find all sorts of classic Casino games to play with live dealers: be it Blackjack, Baccarat, Roulette, Casino Hold'em, or any variation of those. And you can find a lot more different variations of your favorite games, too. For online Casinos to have European, American or French Roulette live is common practice now. So, what about a mix of Roulette and the Book of Ra Slot? It's not a dream, it's a game named Ra Roulette that you can play on Spintropolis' live Casino platform. And it doesn't have to stop here. 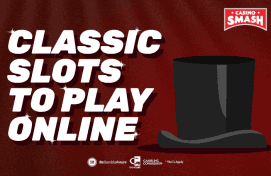 Another all-time favorite like the Sizzling Hot online Slot meets the game of live Roulette live at Casino Superlines to generate the Reel King Roulette. An exciting combination of Slots and Roulette that will keep you busy for hours. Not a Roulette fan? Ok then - how about a nice game of Baccarat? Baccarat might be the most underrated Casino games . and that's why I love when some sites give it the visibility it serves. Let's take ReactCasino for example. This Malaysian Casino online features has 23 live Baccarat tables for you to choose from. Including classic baccarat games, Baccarat Early Draw, Baccarat Squeeze, Baccarat Fantasy, Baccarat Controlled Squeeze, and Speed Baccarat. And if you don't know how to play, check out this article with lots of strategy tips to win at Baccarat online. Are you more pf a Blackjack kind of player? In my (humble) opinion, the biggest advantage of Casinos online is the possibility to play real money gambling games on your mobile phone. I wouldn't advise you to brag in public about your Casino apps. But having one or two can significantly improve the time you spend on your smartphone. If you enjoy playing casino games, that is. 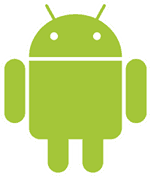 Android vs iPhone: the never-ending debate what kind of smartphones are the best. I won‘t give in to that now, and I won‘t tell you which one I prefer. Sometimes they have even Windows mobile Casino apps - even if those are a dying breed. If you want to gamble on your Android phone, don't make the mistake I once did. Don't search for real money Casino apps on Google Play. It may be a good app store for anything else but not real money gambling. They have hundreds of social gambling apps but if you search for real money ones, you will be disappointed. Gambling for real money apps are only available for players in UK, Ireland, and France. Thus, the best option is to play from your mobile browser. The experience is matching the gambling on desktop and sometimes it's even better. Just look again at Casino Superlines, for example. 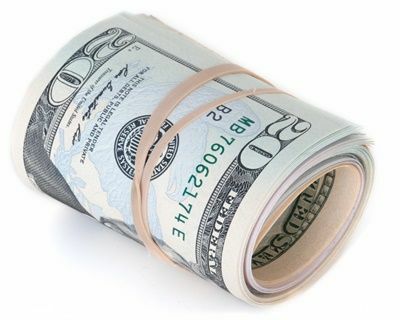 Their page is easy to navigate, important information (you know what I mean, bonuses) are right in front of you. And there is not a singe thing missing from their desktop version. If operator doesn't adapt the casino for mobile phone, they don't compete well in the market. And they know it. Apple's AppStore has less restrictions, making it easier to find mobile online Casino sites in Malaysia. But still, not every Casino is sharing their apps on the official AppStore for iOS download. Luckily for you, BGO is. Their iPhone Casino app is called 'BGO – Casino, Slots, Jackpots'. You can download it on the AppStore completely for free. Other good Casinos for players in Malaysia don't have apps. But don't underestimate their mobile versions. Plus, be careful when searching for apps online. Some websites give you a link or QR code to download a casino app of some operator. But if there is no mention of it on their official website, the link most likely won't be working anyway, or it is a scam. In the end, everything comes to your choices and decisions. You need to choose the casinos based on your favorite games, what kind of promotions you're looking for, and how you're going to play it. And based on what's available in your country, of course. Only then you'll find the best online casino in Malaysia in 2019. Because it will be fitting your needs. Hopefully, this article can help as a useful guide of what to try to find your favorite Casino.